While I normally am up to my elbows in holiday baking in early December, I have yet to dive into Christmas cookie fun this year. 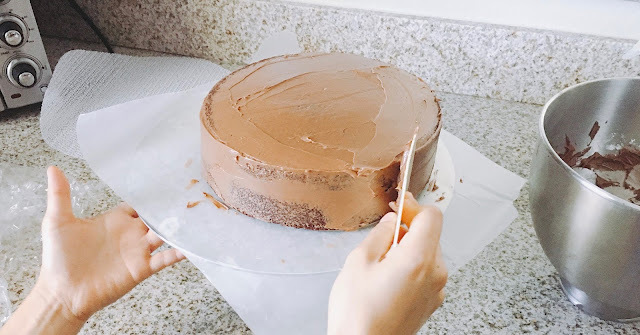 Here's a quick post from a baking adventure a couple weeks ago when I decided to take my new Cake Decorating Stand for a test drive by baking a layer cake for two birthday boys. I'll need some more practice frosting cakes but the rotating stand definitely made the process a lot easier. (Check out Molly's cake decorating tips). 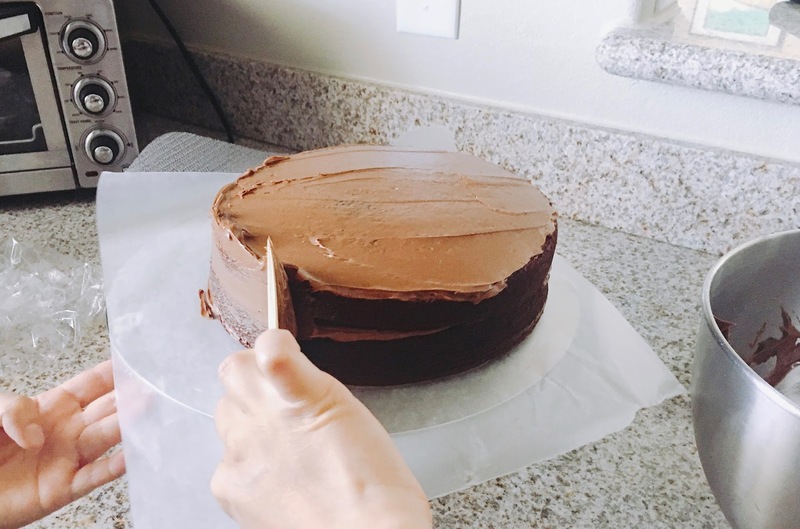 The Recipe: Ina Garten's Beatty's Chocolate Cake. I've heard about this recipe for years from various people and they all raved it was the best chocolate cake. It was moist with a good chocolate flavor and not too sweet. (The cake became a two-faced cake since one of the birthday boys loves sprinkles and the other abhors it).